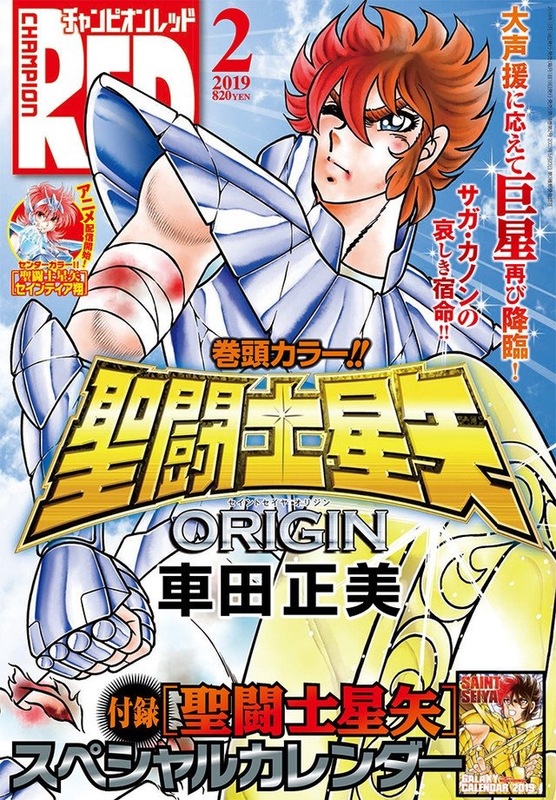 The December issue of Monthly Champion RED 2019 February issue (Akita Bookstore) released today on December 19 is revealing that Masami Kurumada’s second mini-series Saint Seiya Episode Zero manga 2nd part titled “Saint Seiya Origin,” will explore the origin of Gemini Saga before he became the most powerful Gold Saint of its generation. The last 12 volumes will be released on February 20, 2019. The manga magazine will also include Also a celebration illustrations from Okada Shimbu , Kuroi Chimaki , Takahawa Yun , Teshirogi Shiori who previous worked in some “Saint Seiya” projects. 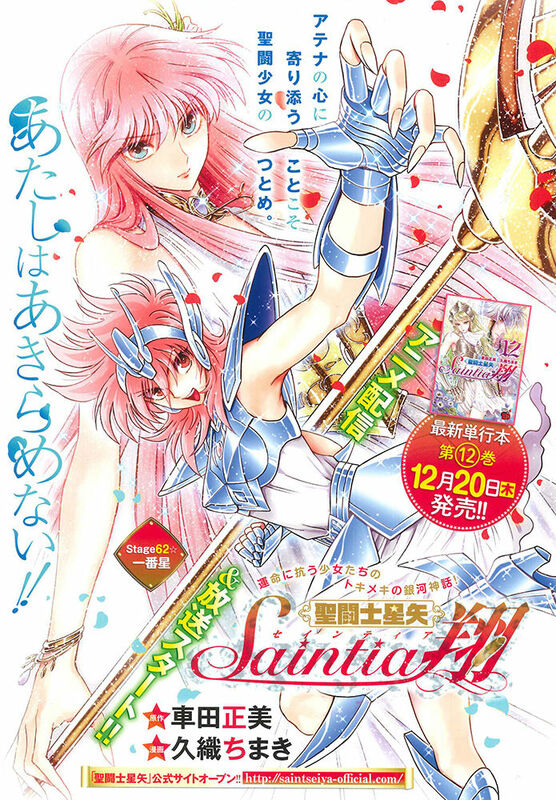 The appendix comes with a calendar of “Saint Seiya”. Kuramada debuted the mini-series “Saint Seiya Episode Zero” in Monthly Champion RED in December 2017. The first-part centered around Gold Saint Sagittarius Aiolos protecting baby Athena. 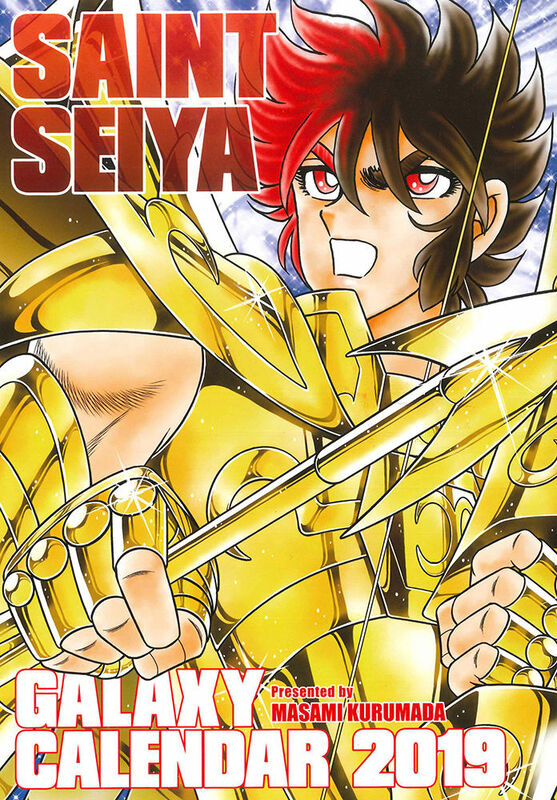 Masami Kurumada launched Saint Seiya: Knights of the Zodiac (Seinto Seiya) in Weekly Shōnen Jump from 1986 to 1990. The manga’s anime series adaptation by Toei Animation ran from 1986 to 1989. Netflix developing an original CG anime series remake of Saint Seiya (Knights of the Zodiac) TV anime series titled Knights of the Zodiac: Saint Seiya, produced by Toei Animation and directed by Yoshiharu Ashino (Tweeny Witches, CROSS ANGE Rondo of Angel and Dragon). Eugene Son (Duel Masters, B-Legend! Battle Bedaman) is writing the show’s script, and Terumi Nishii (JoJo’s Bizarre Adventure: Diamond Is Unbreakable, Penguindrum) is designing the characters. The anime’s first 12-episode season will feature the story from the Galaxian Wars to Silver Saints arcs of the manga. Each episode will be about 30 minutes long. Toeimation and Chinese distribution company A Really Good Film Company (ARGF) are developing a live-action adaptation oSaint Seiya mangaThe film which will directed by Tomasz Bagiński (Katedra ). In addition, a female lead Saint Seiya TV show will premiered on ANIMAX on PLAYSTATION.